Here is an update on the MRC Racing Series and upcoming races. Four races in the series have been run and Mary O’Connell and Thuy Dang have run all four! Charlotte Tysall, Stephanie Lawson, Audie Bridges, Derm Cahill and Andy Nagelin have run thee. Lisa Tysall and Julie DeLillo have each run two races. Twenty-Eight people have run one race so far. On April 21st the club ran the Not a Walk in the Park 5K in Breakheart Reservation. Out of nine MRC runners, four placed or won! Charlotte Tysall was the First Place woman with a time of 21:30! David Penn was first in his AG, Derm Cahill was 2nd in his AG and Andy Nagelin was 3rd in his AG. 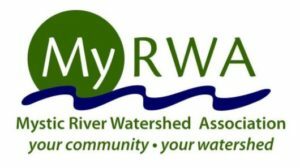 The 22nd Annual Mystic River Herring Run and Paddle is on May 19th at 9 AM and is a little different than our other events. The race takes place at DCR Blessing of the Bay Boathouse, 32 Shore Drive in Somerville. You can run the 5K for $25.00. You can also race a canoe, kayak or paddle board in a 3, 9 or 12 mile race on The Mystic River for $25.00. Registration is open and I created the “Melrose Running Club” team. 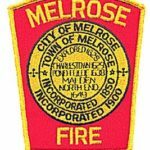 On June 17th we will be back in Melrose for the Melrose Firefighters Father’s Day 5K. The MRC always comes out strong to support our local firefighters. Kids 1/4 mile Fun Run begins at 9 AM and the 5K Road Race begins at 9:30 AM. Kids race is FREE, 5K is $25, $30 day of. Registration is open. If you are new to the club or racing, this is a good one to try out. It’s easy to get to and you’ll know a lot of people there! Our second race for June is The Lahey Health 5K Cancer Walk & Run in Burlington on June 23rd. The race starts at 8 AM and parking is tight. They have shuttle buses for remote parking, please check the web site for details. Fundraising is encouraged, but optional. They provide tools to help you fund raise such as email templates. Your registration fee goes towards fundraising, so you will by 1/3 there just by signing up to run. I set up a Melrose Running Club team, so be sure to register under our team name! Our 4th of July race will be The Jennifer Tinney 5K, 5 Miler and 1 Miler in Boxford. We had 14 people run these races last year. Many people go away or have family obligations on the 4th of July, but Team MRC had a strong turnout. Registration is not open yet for this race. For August we are back to Wakefield for the Cure SMA 5K Run and Walk on August 25th at 9:30 AM. 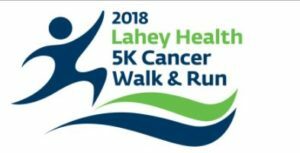 Registration is $35 and like the Lahey Health 5K, fundraising in encouraged but optional. BCBS Island Run 5K and 5 Mile Trail Run on September 22nd is our “destination” race. Registration is $50 and includes a ferry ride to Castle Island, your race, lunch, beers and a ferry ride back to Boston. Something a little different than our usual road race. As a community supporter of the Hallmark Health 5K, I thought we should include it in our series. The official date for this Wakefield race has not been posted yet. Melrose Spooky Sprint is always an MRC favorite. Many club members run in costume with their children and it is always a fun run. Race date is October 27th at 8:30 AM. Registration is open and is $25 for adults and $12.00 for 17 and under! Our Half Marathon this year will be the Howling Wolf Half run from The Stone Zoo on November 4th. Registration is open and is only $40! Join Team “Melrose Running Club” we only have four members so far. I challenge you to find another half marathon professionally managed for $40.00. This race was brought back from extinction last year. Due to low registrations it was cancelled in 2016, and made very little in 2017. As the local running club I feel that we should embrace this race and do what we can to make it a success. One of the easiest things that we can do is register for the race. This race is run on roads that all Sunday Long Runners will be familiar with. If you have never run a half marathon, join our Sunday Long Runs and give this one a try! 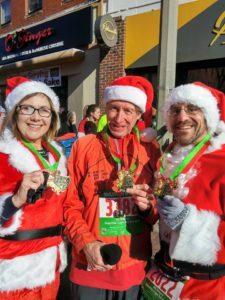 Our December race is the Bill Rogers Jingle Bell 5K Run in Davis Square in Somerville. The 2018 date has yet to be announced. This is a fun holiday race and one of those large Davis Square races. Check back for updates and let me know how you like the race series so far. 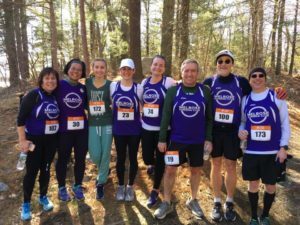 This entry was posted on Sunday, April 29th, 2018 at 8:28 pm	and is filed under Club Races. You can follow any responses to this entry through the RSS 2.0 feed. You can leave a response, or trackback from your own site.